Garden Adventures - for thumbs of all colors: Fresh Inspiration for the New Year. Do you get stuck for ideas? Struggle for a vision? It happens to us all and is one of the reasons I am often called to give a landscape consultation, often also referred to as garden coaching. It’s that situation where you know you’re not happy with a particular aspect of the garden but can’t quite pinpoint what it is or how to fix it. 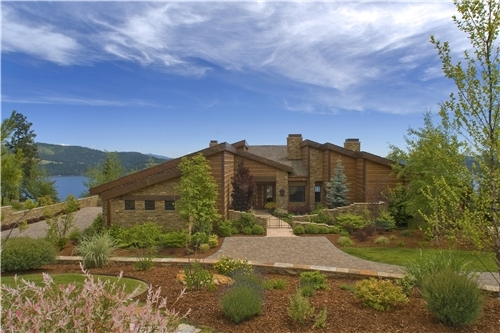 Designers have a wealth of experience, references and other resources to pull from while homeowners will often be limited to gardening magazines and books for inspiration. However, I recently came across another online resource which makes such research easier and faster – and it’s free! LandscapingNetwork.com is not new and in fact rather to my embarrassment features beautiful work by several of my colleagues! It just hadn’t come across my radar until recently but as soon as I saw it I recognized its value to you so thought I’d share it. The first thing I ask clients is how they want to use their space. That helps determine whether the patio needs to be designed for 2 or 20, if a play space for young children needs to be part of the plan and if the chef of the family would like a dedicated patch for fresh herbs and salad leaves. This website offers ideas and photographs for everything from patio styles and fire pits to full scale plans. Email an image of the outdoor fireplace you love to your designer to make it easier to communicate your thoughts for example. Or watch the video clip on how to lay a bluestone patio if you’re a DIY-er. What about style? The next part of my consultation is usually to try and get a sense of the ‘look’ a client prefers. Again this can be hard to explain in words so I ask clients to do a little homework before we meet and show me photographs they have highlighted from magazines and books. I can then determine whether they are drawn to a romantic, billowing cottage garden, a bold Mediterranean theme or a monochromatic and tranquil courtyard for example. LandscapingNetwork.com makes this even easier with their Landscape Design Sheets. Each of the 19 ‘story boards’ provides ideas for the home, décor, materials and plants to help you create a cohesive design that truly flows from the inside to the outside. 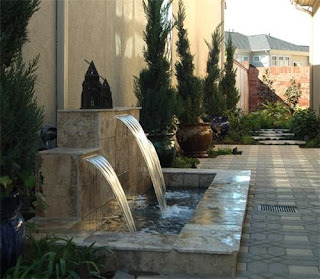 For example the Asian Landscape Design provides color samples, an example of a garden created in that style plus photographs of the materials and plants you might use including bamboo and artistically shaped pine trees. This sheet can then be printed, ready for you to take to your design professional. With constantly updated images of plants, container gardens and water features as well as helpful articles and videos on everything from common landscaping problems to current trends, you will glean more in ten minutes from this website than you would in a weekend flipping through all your gardening magazines. Many of my clients just need the vision – they can handle the rest themselves. 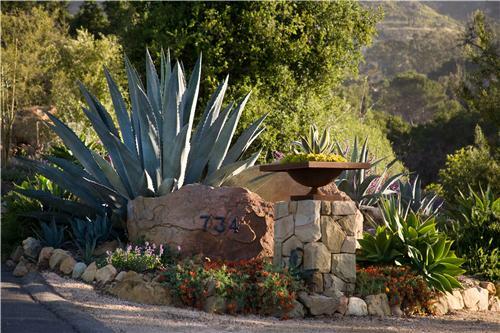 Others prefer me to draw up a plan, select the plants and oversee the installation of their new dream garden. Either way this website can be an easy way to identify what you are drawn to and articulate those preferences to your designer. It is important to realize, however, that no design will be successful without knowledge of local soil conditions, climate, sun and shade patterns and suitable plants. That is where a qualified professional can save you thousands of dollars and disappointment. Unless you are comfortable in these areas, consider this website an inspirational springboard and a way to better communicate your ideas. Make 2012 the year you create the garden sanctuary you have always dreamed of. This sounds like a helpful website. I redesigned over half of my garden this past fall and will finish the job this spring. I'm completely changing my approach to container gardening this summer and hope the website comes in handy. Thanks!! You and I are on a parallel garden course! I'm also curious to know what you have in mind for your container gardening this summer. Share the news! What did we ever do before the internet? Thanks for pointing out a great new resource. I checked it out, and it looks a bit like a landscaping encyclopedia. Lots to learn there! I have enjoyed reading your blog, and I look forward to many more posts in 2012. Happy New year! Thanks so much Deb. Here's to lots more Garden Adventures together. This looks like a great tool. I will pass it on to some of the designers I work with. Happy New Year. 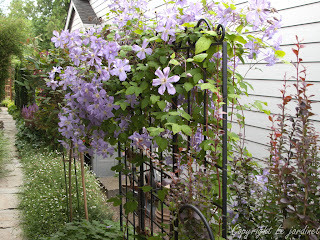 Hi Karen - I particularly liked the 5th photo, with the Clematis and what has been done in that narrow border. And then I saw it was your design. Lovely! 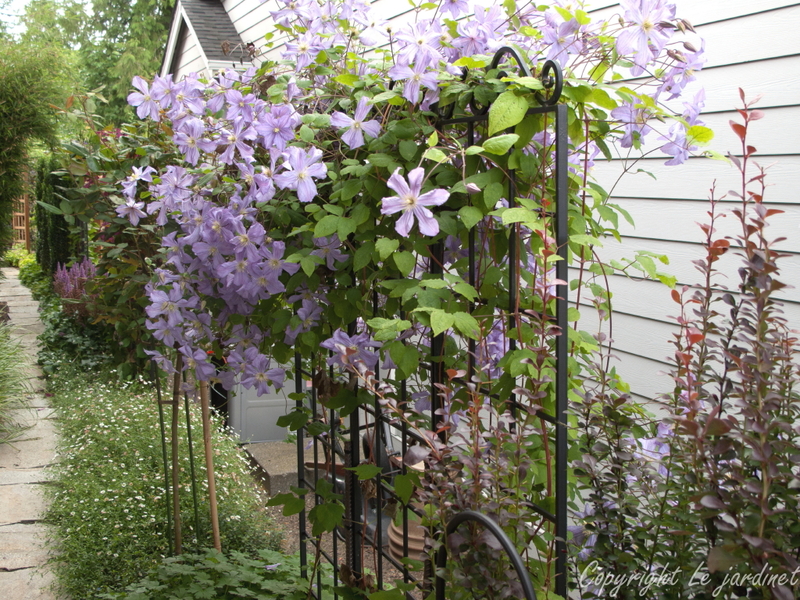 What is it you have growing directly below the Clematis? Happy New Year and I hope you have a great 2012! That is one of my favorite gardens. We couldn't erect a fence along the property line so instead I added a series of trellises interspersed with columnar shrubs and I prefer it to a solid fence now! Directly under the clematis is a fabulous hardy geranium 'Biokovo' which has white flowers in spring and red autumn tints on the foliage in fall. Behind that is fleabane (Erigeron) 'Profusion' with all the little daisies. Glad you like it! Thanks for the tip! I, too, love your design with the Clematis-filled trellis at the end! Garden design is my weakest link as a gardener. I'm so fortunate the previous owners had a great design sense. I might be asking for your advice in the months ahead. Happy New Year! PlantPostings - I'd LOVE to brainstorm ideas! We all need new springboards myself included. Glad you liked that element of the Adams design also. The width of that side garden is barely 5' including under the eaves yet it's amazing how much you can do with it if you know the plants.